This penny mat is the perfect addition for your home! 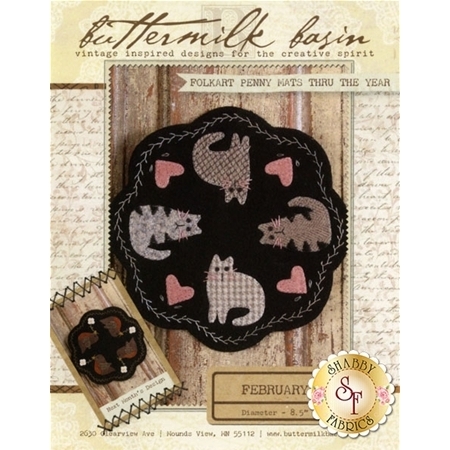 Easily swappped with one for each month, this penny mat features four cozy cats surrounded by hearts and a hand embroidered border. 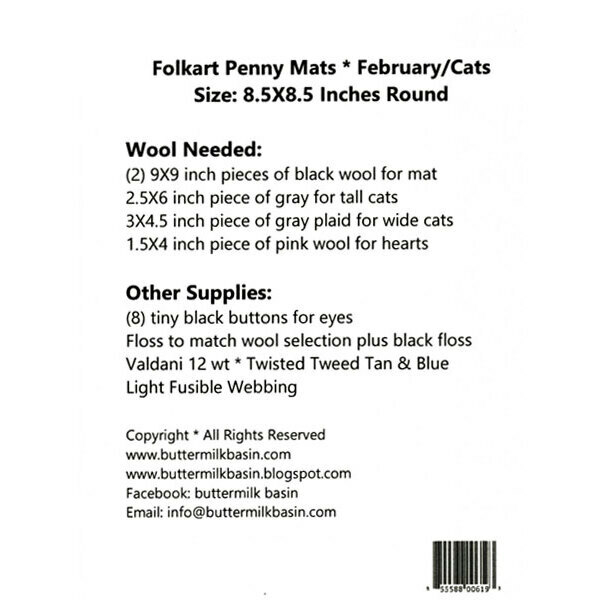 Pattern includes instructions for the 8½" x 8½" round finished penny mat.